Nothing gets an action-movie lover in the Christmas spirit better than Die Hard. 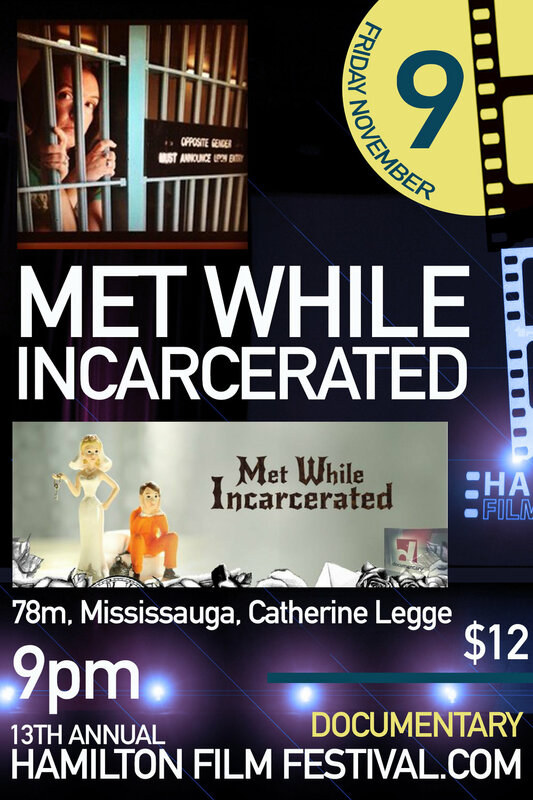 We’re excited to present the original John McClane masterpiece in partnership with the Hamilton Film Festival. Get ready for trivia, prizes, costumes, and an awesome movie! Yippee ki-yay! Who’s your favourite character - is it Alan Rickman’s skulky bad guy; is it Reginald VelJohnson’s lovable sidekick cop; Alexander Godunov’s hunky terrorist; or John McClane’s sharp-tongued take-a-beating hero? We love ‘em all. Get dressed up in your best action hero (or villain) costume and join us December 21 at 8pm for some naughty Christmas joy. 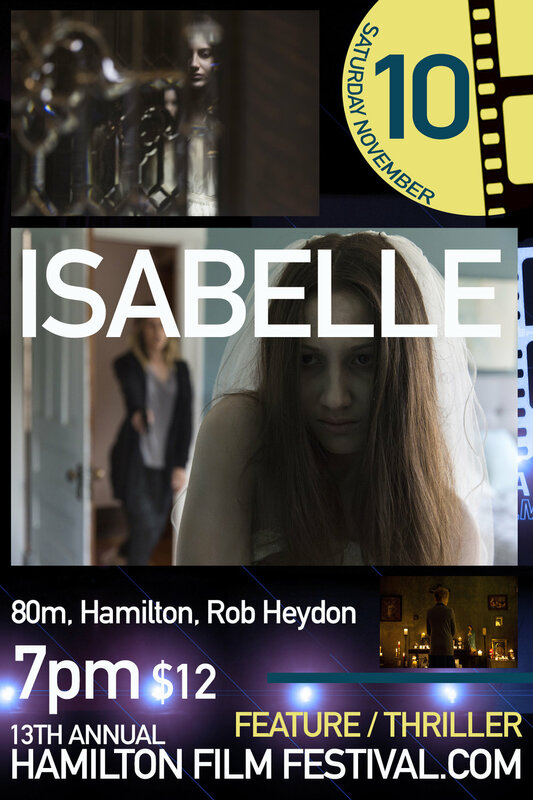 The Zoetic is a proud venue partner with the Hamilton Film Festival, now in its 13th year and oozing with Hamilton and international talent. Be sure to join us. The opening night gala features short films, a fashion show, and a rock concert with Nathan Fleet and the HPO String Quartet. It all begins in the North of France. Ali suddenly finds himself with a five year-old child on his hands. Sam is his son, but he hardly knows him. Homeless, penniless and friendless, Ali takes refuge with his sister in Antibes. There things improve immediately. She puts them up in her garage, she takes the child under her wing and the weather is glorious. Ali first runs into Stephanie during a night club brawl. He drives her home and leaves her his phone number. He is poor, she is beautiful and self-assured, a princess: his complete opposite. Stephanie trains killer whales at Marineland. When a performance ends in tragedy, a call in the night again brings them together. When Ali sees her next, his princess is confined to a wheel chair: she has lost her legs and quite a few illusions. He simply helps her, with no compassion or pity. And she comes alive again. Craig Davidson will be available for a Q&A and will be selling and signing his new book, Precious Cargo. CRAIG DAVIDSON was born and grew up in St. Catharines, Ontario, near Niagara Falls. He has published three previous books of literary fiction: Rust and Bone, which was made into an Oscar-nominated feature film of the same name, The Fighter, and Sarah Court. Davidson is a graduate of the Iowa Writers’ Workshop, and his articles and journalism have been published in the National Post, Esquire, GQ, The Walrus, and The Washington Post, among other places. He lives in Toronto, Canada, with his partner and their child. This night is all about the power and celebration of music, specifically Heavy Metal, as we journey back to 1994 when a live concert, by Bruce Dickinson (Iron Maiden's frontman), changed the lives of the town's people who struggled to simply feel human again during the seigein Sarajevo. This film deals with the impact of the seige, and a concert that almost didn't happen. After the film we will celebrate with a local band performing their brand of Heavy Metal, with perhaps a few inspiring tunes related to the film! PRISMIND is a Canadian metal band based out of Hamilton, Ontario. Formed in2013, the group is known for its intricate guitar solos, amazing rhythm section and soaring vocals. Their sound is reminiscent of traditional British heavy metal with a strong modern American metal influence.Prismind has just released their debut album, "Disciples By Design". The group’s popularity is steadily growing amongst metal fans across the globe. Guaranteed to be an amazing night! 9 amazing comedies and they are connected to the Hammer!! 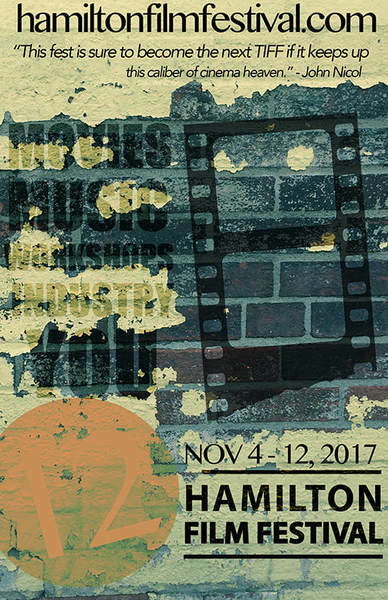 The 12th Annual Hamilton Film Festival kicks off with a rock concert by festival director Nathan Fleet to support his upcoming CD release "LOVE HATE CITY". With music as the festival's theme, this will be the first of 3 planned concerts during the festival. This event kicks off the 9-day event that will screen 150 films across the city in various theatres, a few concerts, industry panels and guests, business development and a film awards ceremony. Twelve-year-old Milton Adams (William Ainscough) feels his world is in crisis. With his parents (Mia Kirshner & David Sutcliffe) stressing about their careers and finances, and the neighbourhood bully (Percy Hynes-White) tormenting him, he is constantly anxious. But when Milton’s optimistic Grandpa (Donald Sutherland) comes to visit, he learns the secret to finding true happiness from a man who has seen the world and who has committed to living life in the ‘now’. trapped with mobsters and goons headed her way to claim what remains of a 30-million dollar loot. Teams were given a film set at Digital Canaries studio, a special effect by MaxFX, Special Effects Make-Up by Carlos Henriques of The Butcher Shop and had 72 hours to complete their film. 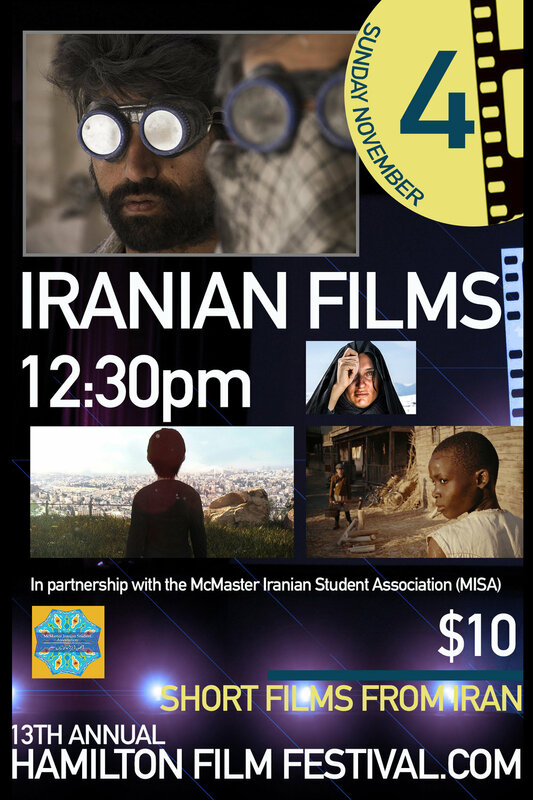 We present the films for the first time on this evening! The short film Schrodinger's Cat (Canada, Bobby Del Rio) will play before the feature film. On a seemingly worry-free Ottawa morning, young Jenni Adams, daughter of U.S. Ambassador Patrick Adams, is snatched from right under the nose of her Secret Service detail. The blatant act has left the American authorities searching for answers with powerful pressure coming at them from every side. From senators all the way up to the President of the United States, the hunt is on to find this girl alive and return her to her family. While two nations fight over jurisdiction as the case grows cold, seasoned RCMP veteran Alfonso Palermo puts everything else aside, his emotions, his alcoholism, his tact, to step up and search for the little girl and return her to her very powerful Washington-elite family. Cosplay + Trivia + Prizes + Movie! After Steven Spielberg's Raiders of the Lost Ark was released 35 years ago, three 11 year old boys from Mississippi set out on what would become a 7 year-long labor of love and tribute to their favorite film: a faithful, shot-for-shot adaptation of the defining action adventure film. They finished every scene...except one: the thrilling, explosive airplane set piece. Over two decades later, the trio reunited with the original cast members from their childhood in order to complete their masterpiece. Featuring interviews with John Rhys Davies, Eli Roth and more, Raiders! The Story of the Greatest Fan Film Ever Made is just that: the story of this long gestating project’s culmination, chronicling the friends' dedication to their artistic vision—mixed in with some movie magic—to create a personal, epic love letter to a true modern classic. Win prizes as the audience judges the best Indy costume, try your luck at our trivia and definitely enjoy the Hamilton Theatrical premiere of the documentary! A night of Action and Adventure awaits!